The Daily Mail has published some very important, urgent news I’m sure you’ve been anxious to hear: On Wednesday, Robert Pattinson was spotted outside, in Spain as it happens, for the first time since Shia LaBeouf and his ex FKA Twigs announced they were dating. LaBeouf and Twigs announced their relationship yesterday. HOW IS ROBERT TAKING THIS?? 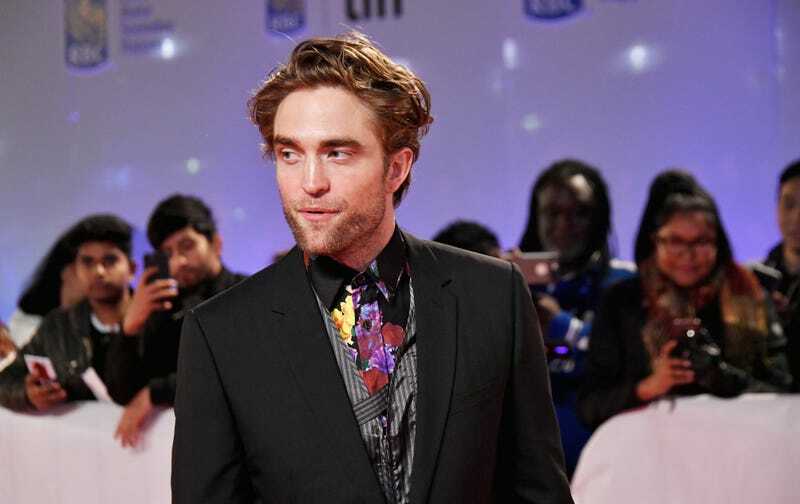 Well, he and Twigs broke up after about two years together nearly a year ago, and today he arrived at the Maria Cristina Hotel amidst the San Sebastian International Film Festival, so—you tell me? Hollywood Life has his EXCLUSIVE reaction, according to an insider, and it is that he has “zero problem” with his ex moving on. This is a breaking story, we’ll update when Robert Pattinson couldn’t care less or maybe before, thanks for tuning in! Someone give Cardi B’s stylist a raise. I’m also flattered that Cardi went with this look because it’s exactly what I aspired to wear in high school (but my lavender jumper was denim and had bell bottoms). Wait up, Bette, save some for me!